Hey, it's Friday again! I'm feeling a bit like burnt toast after this week's mayhem, and it's really just begun. I just completed a wedding gallery from a huge wedding and have another due tomorrow. I'm also shooting a wedding in the Outer Banks this weekend. So, I'll be wearing out my Keurig for the next couple of days. The storm last weekend brought lots of rain, a bit of flooding and some wind. But thankfully, nothing major in terms of damage. Sadly, we have only one lone surviving caterpillar, though. I sheltered them during the storm, and they made it through ok, but I think the colder nights have taken a toll on them. Most have disappeared and I found two that were dead. Thank you so much for stopping in. I absolutely appreciate your visits! I hope you have a wonderful and safe weekend. your sweet daughter's hair I envy! Such a stormy weather ... The wind in you daughters hair is so pretty! 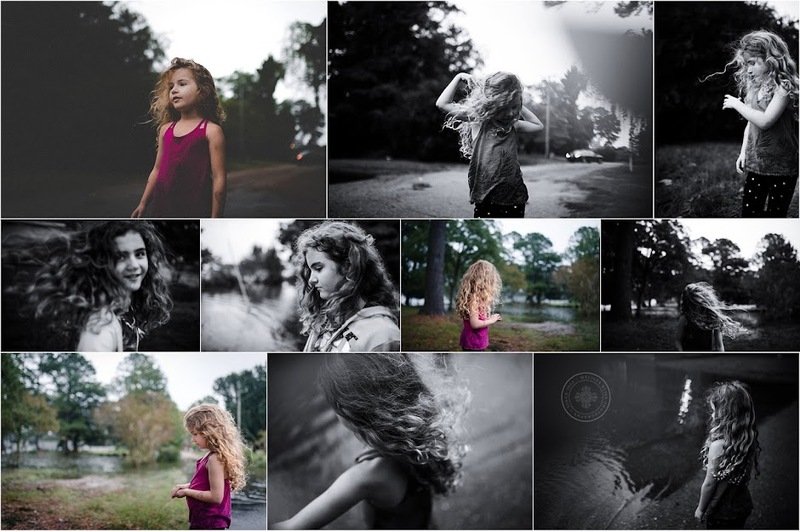 Such gorgeous images, Melissa! Your little one is growing up so fast!